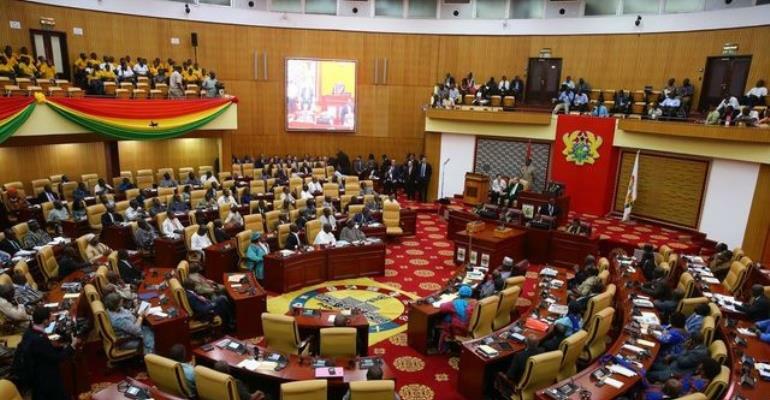 Members of Parliament from both sides of the House have indicated their support to President Akufo Addo’s proposal for the adoption of the French language as the country’s second official language. To this end, the Speaker of Parliament Prof Aaron Michael Oquaye has directed the Select Committee on Education to make further suggestions for the consideration of the plenary on the study of French due to its numerous benefits to the state. The Speaker’s referral follows a solidarity statement made on the floor of the House by Member of Parliament for Nkawkaw, Dr Eric Kwakye Darfour to mark the 2019 Francophonie week by the 88 member states and governments of the Organisation Internationale de la Francophonie that celebrate the French language and culture in all its diversity. According to Dr Eric Dafour who is also the Eastern Regional Minister, being bilingual or multilingual makes one unique and employable in this competitive world, hence the need for citizens to study the French language. “Mr Speaker, the world of work is becoming more competitive every day. Being bilingual or multilingual makes one unique and employable,” he stated. He commended successive governments and Asantehene for their various roles in promoting the teaching and learning of the French language in Ghanaian schools. Various contributors to the statement emphasised the need for Ghanaians to learn the French language and become bilingual or even multilingual with other languages. Ranking Member on the Foreign Affairs Committee, Samuel Okudzeto Ablakwa commended President Akufo Addo for his advocacy role that propelled Ghana, an Anglophone nation to become a full member of La Francophonie in October, 2018 during the 17th Francophone Summit in Erevan, Armenia from an associate member status since 2006. Ghana thus becomes one of the few nations to have membership of both the Commonwealth and La Francophonie. Mr Ablakwa who is the Member for North Tongu said the French language is a barrier to the ECOWAS Regional Integration agenda hence must be broken through its learning by all to deepen bonds and promote intra-African trade. He noted that Africa will have the benefit of some $3 billion trade volumes should intra-trade be encouraged by the removal of artificial barriers including language. Member of Parliament for Ledzokuku, Dr Bernard Okoe Boye said the learning and speaking of the French language has the potential of increasing the market shares of African businesses across their borders. He observed some unemployed Ghanaian nurses and doctors have not been able to secure jobs outside the shores of the country in francophone speaking neighbouring states due to language barrier hence the need to learn each other's language. Dr Boye proposed improved road infrastructure for easy access to each other’s country and exchange programmes between families of Francophone and Anglophone countries to promote the learning of language which in effect cuts down cost of travel. The Parliament select committee on education’s report on the statement made by Dr Eric Dafour and contributions by Members of Parliament is expected advice the Executive arm of government on the need to integrate the study of the French language into the nation’s educational curriculum for maximum benefit. In November, 2016, the French Embassy in collaboration with the Ministry of Education have held a seminar to the status and modalities for the teaching and learning of French whiles four public universities namely the University of Ghana, Kwame Nkrumah University of Science and Technology, University of Cape Coast and the University of Education are equipped with French departments to train students at the degree and doctorate levels. Three science and technical oriented universities including University of Mines and Technology, Tarkwa, University of Energy and Natural Resources, Sunyani and University for Development Studies, Tamale have also created French departments aimed at training professional and competent bilinguals in their specialized fields of study. Some colleges of Education in the country have also been affiliated to train French Teachers for Ghanaian schools in order to impact the French language whiles institutions such as Parliament, the Volta River Authority (VRA), Ghana Ports and Habours Authority (GPHA), Ghana Police Service, Ghana Armed Forces, GIMPA, Immigration Service and the Environmental Protection Agency all have French teachers. La Francophonie is aimed at leading political actions and multilateral cooperation in accordance with goals drawn during its summits where Heads of States and governments of member countries discuss international politics, world economy, democracy, human rights, poverty alleviation among others. The four goals drawn by the La Francophonie summit includes; Promoting the French language and cultural and linguistic diversity, Promoting peace, democracy and human rights, Supporting education- especially higher education and scientific research and Expanding cooperation for sustainable development.